During the last fiscal year, the organization spent 3.701.244,25 € and received 3.731.079,27€. So, there was a positive closing: 29.835,02€. Surt is mainly financed by public funds. 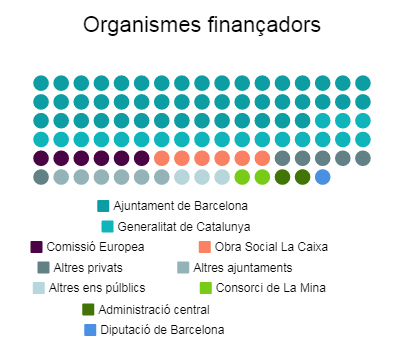 Among public financiers, Barcelona City Council has grown in 2017. Obra Social La Caixa is the main private financier. From the beginning, Surt undergoes accounting audits. Euroaudit is the company in charge of this work. CPA consultors and Applus are the companies in charge of quality audits. Audits contain the necessary and enough information for being correctly understood, acoording to accounting principles and rules. 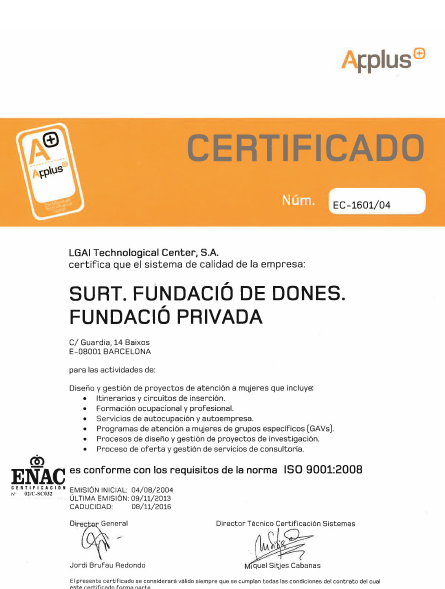 Every year are reported to protectorate of foundations, according to accounting rules and requirements established in the catalan foundations law. Our organization is one of the foundations regulated in II title of law 49/2002, de 23 de desembre, de règim fiscal de les entitats sense finalitat de lucre i dels incentius fiscals al mecenatge. 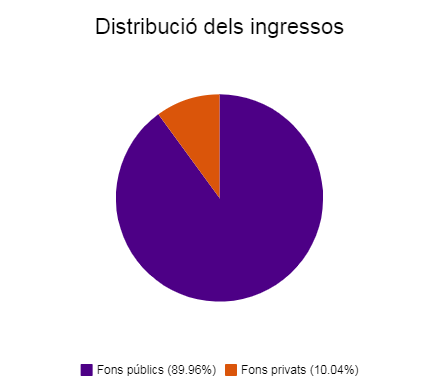 Almost 8 of every 10 euros are dedicated to cover directy expenses of our projects. SURT. Fundació de dones’ statute. Register of SURT. Fundació de Dones’ statute.